This Arabesque rug with Slate Grey backdrop and cream trellis design is a perfect accompaniment to any room interior. Slate grey and cream will blend with many interior colour schemes - choose bright colour accessories to add a dash of excitement or stick with similar shades if you need to keep it mono. 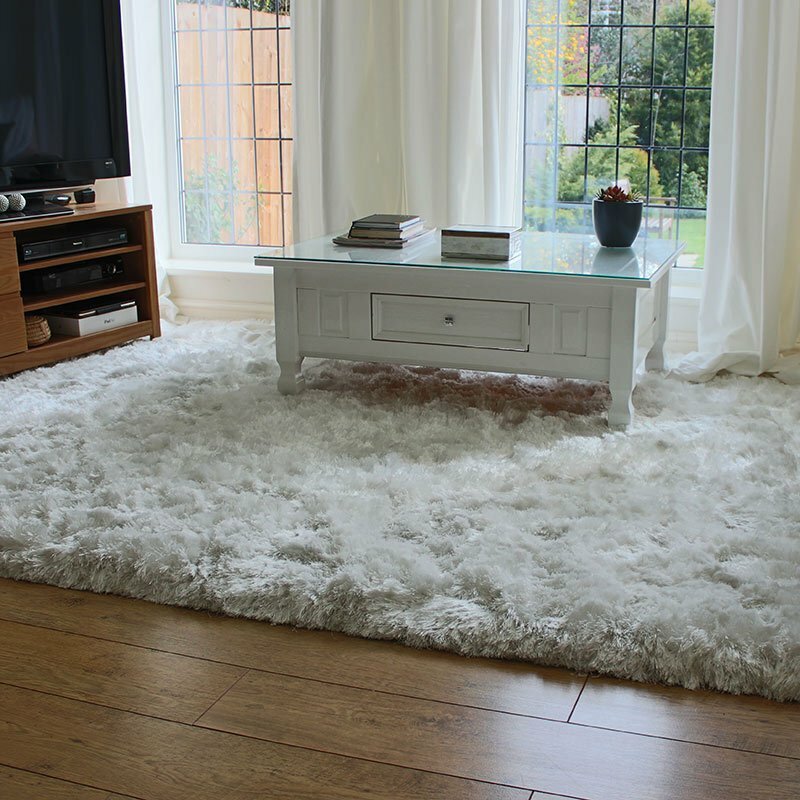 With its thick woolen pile Arabesque rugs are perfectly suited to cold floor areas where they can act as a barrier against cold surfaces. The cream trellis is raised, creating a 3D look which adds depth making the rug look extra chunky. Viscose detailing promotes a silky hue giving the grey various depths of shading from different viewing angles. Arabesque is available off the shelf in 5 standard sizes and a long hall runner, we can also make custom sizes just to suit your individual needs.